From seafood favourites to lesser-known delicacies. Our members rave about our seafood. 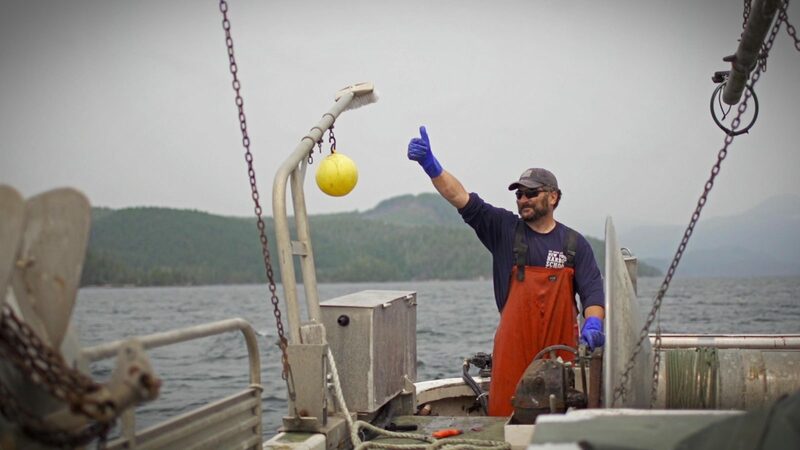 Knowing where each fish is from and who caught it means we prioritize taste and quality in ways that no one else can. Our wild, flash-frozen, sushi-grade salmon will be the star of any meal. We catch all five species: sockeye, chinook, coho, chum, and pink salmon. From whole fish to fillets, cold-smoked lox, hot smoked maple or pepper nuggets and canned salmon, you will find lots of different ways to make our salmon part of your meals. Fresh, whole fish are available during select weeks over the summer in Vancouver while flash-frozen, whole fish are available to all our members. Multiple species of wild, BC shrimp and prawns tails mean that your favourite meals can take on new twists. Live oysters, spot prawns, and crabs are available in Vancouver on several occasions throughout the year and wild, frozen, BC scallops in the shell are available to all our members. Note: Oysters and crabs are only available live in Vancouver at False Creek Fishermen’s Wharf. Halibut and lingcod are the staples in our offerings. These mild fillets are versatile in both simple baked recipes or in out-of-this world fish and chips, tacos and chowders. We offer albacore tuna loins in full and half-loin sizes. Our frozen-at-sea tuna is sushi-grade and delicious raw or lightly seared. Our regular and smoked canned tuna also makes an amazing sandwich or salad addition! Our wild, west coast fisheries offer up amazing seafood year after year. We’ll let you know what is abundant and sustainable each year and give you opportunities not only to enjoy your old favourites but also to try out some lesser-known delicacies. What does the average share look like? Our flexible system lets you pick whatever you like from the year’s catch, so everyone’s share looks differently depending on how big your family is, how often you eat seafood, and what products you like. Here are a few examples of how a share could look! Did you know? You can start with a smaller share and top up later in the season if you run out of credit.